Prom 2017 was a great one! It was held at Westbury for the third year. Westbury is such a beautiful venue that it doesn’t take much to turn it into a stunning prom scene. Students enjoyed dinner and dancing the night away. Several families joined us, which is always fun, and our friends from Best Buddies showed up to celebrate with our students. A few of the ladies from Best Buddies also came to campus beforehand to give our girls manicures. 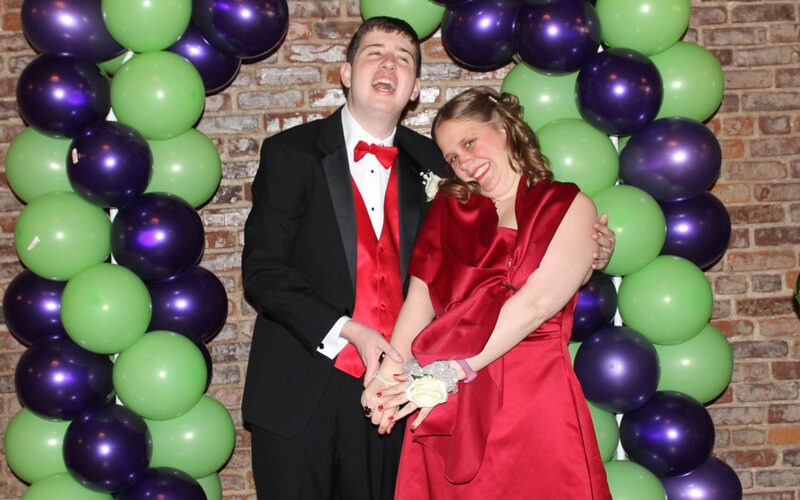 During prom season, we are especially blown away by the generosity of our community and our families. The event is a group effort from donated dresses, hairstyles and jewelry to tuxes, decor and photography. It wouldn’t be nearly as exceptional without all of the little touches lended by our supporters.